A confidential police incident report provides some new details into an incident in which two Toronto police officers allegedly ingested marijuana edibles and called for help while on duty last weekend. Earlier this week, CBC News learned the officers, who work at 13 Division, were on duty not far from the station at Eglinton Avenue West and Allen Road when they allegedly ingested pot edibles. Police sources told CBC News the officers began to complain of "hallucinations" and one made a call for an officer needing assistance. Both officers have been suspended pending an investigation by the force's professional standards unit, police spokesperson Mark Pugash confirmed. The confidential report, obtained by CBC Toronto on Thursday, shows that police were called to the area of Oakwood Avenue and Vaughan Road shortly after 1 a.m. Sunday. The report, which is generated as a dispatcher follows police radio communication, indicates that an officer "feels like he is going to pass out." A couple of minutes later, the report notes that "officer consc/breathing," but then a moment after that, a female plainclothes officer is "unaccounted for." Officers from 14 Division are dispatched "to come by and search the area as well." Seconds later, the missing officer is located. "Update on 1 officer – short of breath – no visible inj's – feels light headed," the report goes on. It also notes that an officer dispatched to the scene has suffered "some type of head inj as well." Sources told CBC News earlier this week that a responding officer slipped on some ice and required medical attention. That officer suffered a head injury. 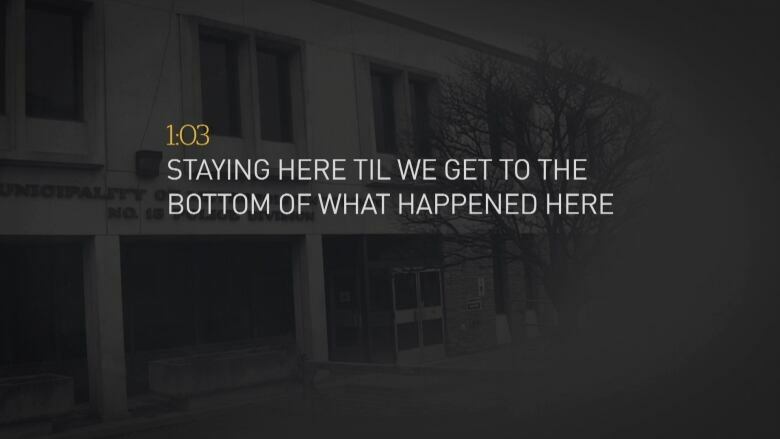 The report says that the officer who initiated the "1033," the code for the call that indicates an officer is in serious trouble, was being transported to hospital. The report also notes that a female officer was conscious and breathing but "overall nauseous." "Staying here til we get to the bottom of what happened here," the report quotes a responding officer as saying. The attending officers check an address at 475 Oakwood and confirm there is "no issue" there. "Is vacant," the report says. CBC News learned earlier this week that the officers under investigation are Const. Vittorio Dominelli and his partner, but has not been able to confirm the name of Dominelli's partner. Toronto Police Association president Mike McCormack did not immediately respond to a request for comment on Thursday afternoon. No charges have been laid against the officers. The professional standards unit, which is probing the incident, is obligated to investigate complaints of misconduct under Ontario's Police Services Act. This branch is responsible for overseeing police practices, conduct, appearance, ethics and integrity.